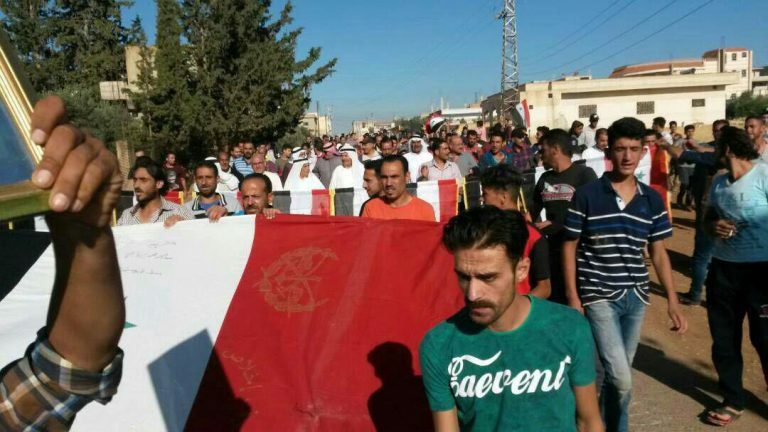 Daraa, SANA – Al-Ghariya al-Sharqiya town in Daraa countryside joins the reconciliations, with its residents gathering at the entrance in welcome of the Syrian Arab Army to thank it for saving them from terrorism, SANA reporter said Saturday. Meanwhile, Dael town in the northern countryside of the Province also joined the reconciliation in addition to the the areas of Tal Khleif and Tal al-Sheikh Hassan, as gunmen started to give up their weapons to the Army. AMMAN/BEIRUT (Reuters) - The Syrian army seized more towns in the southwest on Saturday, as air strikes pounded others that still held out against the rapid offensive and rebels said they had begun negotiating peace terms through the government’s ally Russia. State television broadcast from the town of Dael, northwest of Deraa city, after the army entered, and a war monitor reported that several towns further east had also accepted government rule. Rebels expected to hold another meeting on Saturday with Russian officers to negotiate a deal for the return of Syrian state sovereignty over the whole of Deraa province, an insurgent spokesman said. I'm at a loss how it is the terrorists can negotiate a deal for the return of sovereignty over the whole of Daraa- considering they are no longer in control of the whole of Daraa? Russia, the Syrian government’s strongest supporter, has backed army advances with air strikes since entering the war in 2015 and has played a role in mediating surrender deals. Southwestern Syria is one of two remaining rebel strongholds, along with a region of the northwest that Syrian President Bashar al-Assad has sworn to recapture. He also wants to take back control of territory in northeastern Syria held by U.S.-backed Kurdish forces. More then was held in the southwest and vastly more then in the northwest. It's important information to grasp to understand just how much territory Damascus needs to retake in order to retake all of Syria. Also notice that Reuters does not call that one third of Syrian territory "rebel held"- Just held by US backed Kurdish forces. Since the 'rebels' in Daraa are also US backed why not call that US backed rebel territory? Of course, that fact, doesn't fit the narrative presented! Terrorist bad guys/Kurdish good guys and the US on the side of the good. Phooey! The army’s offensive follows the capitulation of rebel enclaves near Homs and Damascus, including eastern Ghouta. Warfare in the southwest could risk a further escalation because of its proximity to Israel. The Israelis have already targeted Iran-backed militia fighting on Assad’s side, which they have vowed to keep far from their country’s borders. The deal being discussed does not include Quneitra, the rebels said. Insurgent negotiators and a spokesman said a six-member civilian and military committee of the southern rebels held a preliminary meeting along the administrative borders of neighboring Sweida province. “The committee held its first meeting with Russian officers who presented their demands,” said Ibrahim Jabawi, a spokesman of the central operations room set up by the main Free Syrian Army groups in southern Syria. Jordan has been facilitating talks between rebel factions and Moscow over a deal that would end the violence in exchange for the return of state rule in Deraa province on its border. The army has already captured large parts of the eastern zone of rebel-held territory in Deraa province in less than two weeks of fighting, however, and several more towns still held by the insurgents have reportedly agreed to settle with Assad. 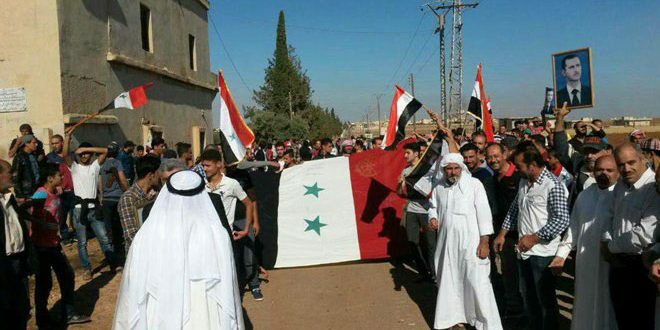 It broadcast live from the town of Dael, where a crowd was shown chanting slogans in support of Assad and the army. State TV said on Friday that four nearby towns had agreed to surrender their arms and accept state rule. The army had gained control over the towns of al-Harak, Ibta and Rakham, it said, and a rebel said opposition lines in one area had collapsed. The Observatory said Russian military police had entered several other towns and villages in deals to end their rebellion against Assad. It reported that warplanes carried out 32 air strikes overnight as the offensive continued, hitting nine towns in Deraa province. So far, about 100 civilians have been killed in air raids and shelling since June 19, it said. Clashes escalated around Deraa city, which lies close to the border with Jordan, and where army advances could cut the insurgent territory in the southwest in two, it said. OPCW Given Power to “Assign Blame”- They Don't Need No Stinkin' Evidence! No real evidence necessary- When trial by public opinion serves it's purpose so well. THE HAGUE, June 27. /TASS/. The Organization for the Prohibition of Chemical Weapons has adopted the British amendments to its mandate giving it accusatory functions, a Russian delegate told the media after the voting. "According to preliminary returns the British resolution has been adopted," he said. Soon, there followed a confirmation from Britain’s OPCW envoy Peter Wilson. "The OPCW voted through the UK Decision co-sponsored by 30 states… 82 voted for," Wilson tweeted. - Russia’s Industry Minister on Wednesday said the future of the Organization for the Prohibition of Chemical Weapons (OPCW) was in doubt after member states voted - over objections by Moscow - to empower it to assign blame for attacks. Speaking after OPCW member states voted 82-24 in favour of a British-led proposal affirming the agency should go beyond determining whether a banned weapon had been used, Georgy Kalamonov compared the organisation to a sinking ship. “A lot of the countries that voted against the measure are starting to think about how the organisation will exist and function in the future,” he told reporters. London’s effort to empower the UN chemical watchdog with the right to assign guilt serves Western interests in finding loopholes and justifications for new attacks against Damascus, investigative journalist Rick Sterling told RT. “The UK in alliance with the US is hoping to have the OPCW able to assign blame and provide a rationale for future attacks by the US and the UK,” Sterling believes. Under Donald Trump’s administration, the US used chemical incidents in Syria as a pretext to stage two nearly instant ‘retaliatory’ strikes against Damascus without due investigation. The UK, as well as France, joined the US-led military endeavor this spring when they bombarded government bases and infrastructure in response to an alleged chemical attack in Douma on April 7. A year earlier, Washington unilaterally launched 59 Tomahawk cruise missiles at Shayrat Airbase, as a response to the Khan Shaykhun chemical incident on 4 April 2017. Despite repeated failures by OPCW experts to impartially investigate chemical attack claims in Syria –and at times even to visit the sites of an actual alleged incident– an ongoing special conference of the watchdog in the Hague is set to vote on the expansion of its mandate. The proposed new powers would involve the OPCW declaring any party to a conflict responsible for any chemical incident. All of the latest OPCW reports were in large part based on open source data, witness testimonies and video and photo evidence provided by select ‘moderate’ rebel groups and controversial NGOs, such as the Syrian Civil Defence (SCD) –better known as the White Helmets– or the US-based Syrian American Medical Society (SAMS). Those same sources by coincidence were instrumental in heating up international public outrage in the buildup for ‘retaliatory’ US-led strikes against Damascus. “In the last several years we’ve seen a situation in Syria where the efforts of countries to overthrow, to topple the Damascus government have used claims, accusations of chemical weapons usage, and the OPCW have been a part of that,” Sterling believes. That is the coldest temperature ever recorded. Certainly not the coldest temperature ever! Still it's interesting, in an alleged warming world, to have hit such a low temp record. Scientists announced Tuesday they have recorded the coldest temperatures ever on Earth. Using satellite data, researchers discovered that a series of valleys on an ice sheet in eastern Antarctica reached temperatures of minus 98 degrees Celsius. The scientists, who published their findings in the journal Geophysical Research Letters, say that this temperature is probably as cold as it can get on earth. "In this area, we see periods of incredibly dry air, and this allows the heat from the snow surface to radiate into space more easily," said lead author Ted Scambos of the National Snow and Ice Data Center at the University of Colorado Boulder in a statement. Since it is impossible to install a weather station in the area, Scambos and his team looked at satellite data from 2003 to 2016 to see just how cold it got in the area. Another group of scientists announced that they have discovered an active volcano beneath a glacier on Antarctica. The volcano is not visible and scientists only realized that it existed because they measured high levels of volcanic gases in the nearby seawater. The international team of researchers said the volcano appears to be assisting in melting the Pine Island Glacier in the western part of the Antarctic continent. It had been announced back in 2013 the earths lowest temperature ever recorded was documented in several spots on the East Antarctic Plateau, " This temperature—a staggering minus 93 degrees Celsius (minus 135 degrees Fahrenheit)"
Now, after re-examining weather data for this region, the same researchers have found that temperatures at several sites had actually dipped lower than previously thought, to a record-setting minus 98 degrees Celsius (minus 144 degrees Fahrenheit) on several occasions between 2004 and 2016. So minus 98 degrees Celsius, record setting lows, in numerous sites, on several occasions between 2004 and 2016 ?? The results, which are published in the journal Geophysical Research Letters, could transform scientists’ understanding of how low temperatures can go on the Earth’s surface. I hate to think about how low temps can go on Earth! Where the sun is shining nearly 24/7 at this time of year? Not only that, it was the coldest temperature recorded in Fairbanks on any day in the month of June in 12 years, the National Weather Service (NWS) noted. Tuesday's 36-degree low also tied the daily record for June 12 which was last set on that date 1931. For perspective, the average low temperature in Fairbanks this time of year is 49 degrees and the average high is 71 degrees. Fairbanks has been as hot as 96 degrees and as cold as 28 degrees in the month of June dating to 1905. I wouldn't be loving that on my garden! — It may be summer, but snow was falling in parts of Newfoundland Tuesday. "I never seen it this late in June. I seen it in June but can't remember it being this late and this much," said Lushman, who shared a photo of a flowers he had planted on Sunday that were now buried in snow. Yesterday morning when we awoke it was a chillin 9 C or 48 F. I was surprised! But it warmed up later in the day- My garden, which has been in since the beginning of this month, appeared unfazed by the overnight chill though I know peppers and eggplant do not like those lows. When Washington ‘understands the difficult conditions’ its militia allies are facing and says it ‘advises’ the Russians and Syrians not to violate a ceasefire – which was Moscow’s idea in the first place – you know that the Americans are pulling the carpet from beneath another set of allies. Neither the Hezbollah nor the comparatively fewer Iranian Revolutionary Guards appear to be involved in the battle for southern Syria; and be assured that the Americans and the Russians – and thus the Syrian government – have agreed that this should be a Russo-Syrian offensive. Both Vladimir Putin and whoever thinks they speak for Donald Trump will have assured the Israelis that this will be an internal battle and will not endanger the Israeli-occupied Syrian Golan Heights. Sorry to read that! Hoping there wasn't a deal made to take the southern area of Syria back? But that may have been the case. pro-Assad military forces, according to Israeli media on Sunday"
If Israel hasn't and doesn't move against Syrian Military it's likely safe to say there is a deal. "Syria fears that the Israelis will now create their own “buffer zone” below Golan, similar in style, weaponry and ruthlessness to Israel’s former occupation zone in southern Lebanon. This lasted for 22 years, but fell to pieces when Israel’s local Lebanese militia, the South Lebanon Army – as inefficient, untrustworthy and occasionally as fictitious as the “Free Syrian Army” – retreated along with the Israelis in 2000"
But maybe not exactly the deal the Israelis would like? Time will tell. “Rebels withdrew [from Busra al-Harir and Maleehat al-Atash ] as they were attacked from the air,” the rebel commander said via WhatsApp, requesting anonymity as he is not authorized to speak to the press. Tuesday’s pro-government capture of Busra al-Harir—a large town situated along a major east-west highway—bisected rebel territory in Daraa’s eastern countryside and linked Damascus-led forces in central Daraa with their allies in the adjacent, mostlygovernment-controlled Suwayda province. During the 2000 presidential campaign, Zakhem served as a senior foreign policy advisor to then-Governor Bush. In May 2001, Zakheim was sworn in as the Under Secretary of Defense (Comptroller) and Chief Financial Officer for the Department of Defense. He served in this capacity until April 2004. In 2008, Zakheim was appointed by President Bush as a member of the Commission on Wartime Contracting in Iraq and Afghanistan. In 2010, Zakheim retired as a Senior Vice President of Booz Allen Hamilton. Together with Hungary’s Viktor Orban, Erdogan no longer can be relied upon to join a NATO consensus to take any action against any future Russian aggression. There have been numerous news reports about the uncertain state of Erdogan’s health. He reportedly collapsed at a rally last year, and there are constant — but unsubstantiated — rumors that he suffers from some form of cancer. Erdogan appeared to be the picture of health on the night of his big victory, however, and Turks, as well as Turkey’s erstwhile NATO allies, may have to look forward to another decade of what will only become an ever harsher form of high-handed authoritarianism. "Erdogan no longer can be relied upon to join a NATO consensus to take any action against any future Russian aggression." Rephrasing: Turkey, nor it's leadership, can be relied on to assist in attacking Russia, as planned, in the coming years. MOSCOW, June 25. /TASS/.Russian President Vladimir Putin congratulated Turkish President Recep Tayyip Erdogan on his re-election, the Kremlin press service said on Monday. "The head of the Russian state stressed that the outcome of the vote fully confirms Erdogan’s great political authority, broad support of the course pursued under his leadership towards solving vital social and economic tasks facing Turkey, and enhancing the country’s foreign policy positions," the statement said. Putin also noted that Russian-Turkish partnership relations have been developing gradually, reaching a strategic level in a number of areas. "The Russian president confirmed readiness to continue substantive dialogue, close joint work on a bilateral, regional and international agenda, stressing that no doubt, this meets vital interests of the Russian and Turkish people, and is in line with maintaining peace, stability and security on the Eurasian continent," the Kremlin underlined. "The White House is working to arrange a telephone call between President Donald Trump and newly re-elected Turkish President Recep Tayyip Erdogan"
Two Israeli missiles fell in the vicinity of Damascus international airport on Monday night, SANA reporter said. This aggression comes in the framework of the support provided by the Zionist entity to the terrorist organizations to raise their collapsed morals due to the big losses inflicted upon them by the Syrian army over the last few days. The Syrian army, over the past few days regained control over hundreds of square kilometers in Al-Lajat area in the countryside of Daraa and Sweida and the Syrian Badiya (desert) extending in the countryside of Homs, Damascus and Deir Ezzor. The field reports confirm the close link between terrorists and the Israeli enemy entity, which intervenes directly to support them after every defeat they receive due to the army’s continued anti-terrorism war to completely uproot terrorism from Syria as whole. We'll be heading back to Syria today for an update on the Daraa situation. Weird how western media spins the systematic change as dictatorial when applied to Turkey. Yet, the US is a pillar of democracy? A shining light on the globe? Perception Management at work? Hell ya! "Turkey, with nearly 90 percent participation rate, has taught a lesson of democracy," Erdogan said. 90 percent voter turnout- and I’m supposed to believe that somehow, someway there was some restriction on voting. Bull biscuits! Just recently here in Ontario there was an election and the voter turnout was.. 58 percent. Whose election is more representative of it's populace? Turkey’s or Ontario’s? Hmmmm... let’s see 90 percent vs 58 percent turnout? It appears Turkey’s election is vastly more representative of it’s populace. Perhaps it was right here in Ontario, in the province I reside in, that voting was restricted? Perhaps voters here were intimidated and cowed, through repression, to not vote? Sounds just like here in Ontario. And all of Canada. The political party with the deepest pockets can purchase more media. Still, lots of choice. Genuine choice. 90 percent turnout. I’d say the voters have spoken in Turkey. “Our delegation welcomed the high voter turnout, which bears witness to the wish of Turkey’s citizens to express their will and to their awareness of the crucial character of these elections,” said Olena Sotnyk, Head of the PACE delegation. I’m ignoring all spin on police presence possibly impeding voters. A 90 PERCENT voter turnout makes that claim dead in the water. It’s also contradictory for PACE to mention it, all things considered. The constitutional changes necessary to switch the government from a parliamentary to a presidential system were approved by the public in last year's referendum on April 16. 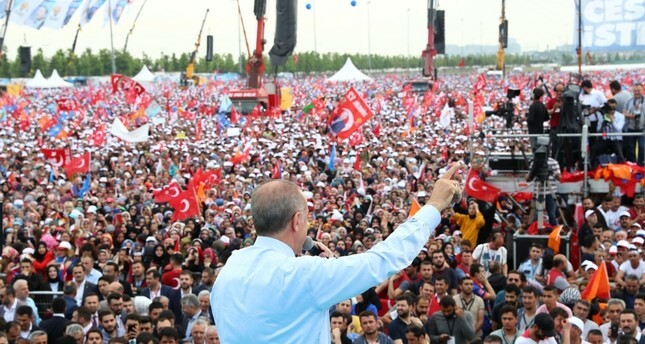 The most prominent change is that the government will now be headed by a president, rather a prime minister, as the post is now dismantled"
Erdogan was the first popularly elected-president. Yup, Erdogan was actually elected by the Turkish people. In 2014 and again in 2018. I never get to vote directly for a leader. We vote for local representation. And get stuck with who ever is already chosen as leader. "In a sign of more streamlined governance, the number of ministers, who will be appointed by the president, will decrease from 21 to 16. The ministries will not be removed rather they will be combined, with the Foreign Ministry and European Union Ministry united under a single portfolio. The same is true for the Customs and Trade Ministry and Economy Ministry, the Ministry of Labor and Social Security, the Ministry of Family and Social Policies, the Ministry of Food, Agriculture and Livestock, the Ministry of Forestry and Water Affairs, the Ministry of Development, and the Ministry of Science, Industry, and Technology. With the new system, several organizations will now be organized as agencies, affiliated with the presidency, including the National Intelligence Agency (MIT), the Turkish Armed Forces General Staff, the Presidency of Defense Industry, the National Security Council, the Presidency of Strategy and Budget, the Presidency of Religious Affairs, the State Inspection Council and the Presidency of Communications. A separate hierarchy of agencies under the presidency will now run the government. Offices on human resources, finance, investment and digital transformation will be established to supervise the state's human resources and institute the state's digital transformation to adapt to the digital age and fight cyberterrorism. Nine separate councils will develop, supervise and coordinate relevant policy suggestions. The main priority will be a more effectively run government by delegating responsibility with authority. One of the main focal points of the transformation of the state will be to institute a more effective economic management structure. The number of ministries linked to the running of the economy will be decreased from six and their responsibilities will be more clear-cut to better delineate their areas of influence. The many facets of counterterrorism will be channeled into a single and more organized structure for a better coordinated and more effective fight against terrorism"
Turkey’s economy grew 7. 4 percent in the 1st quarter. 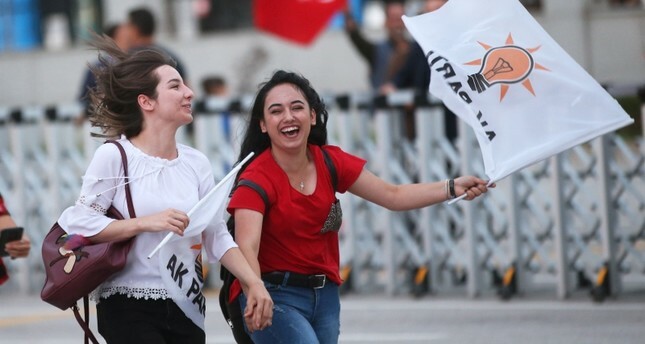 Supporters of Turkish President Erdoğan hold Turkish and AK Party flags and greet after closing voting for the Turkish presidential and parliamentary elections in Ankara, Turkey, 24 June 2018. World leaders, including Palestine's Mahmoud Abbas, Azerbaijan's Aliyev, Hungary's Viktor Orban and Bosnia's Bakir Izetbegovic called Recep Tayyip Erdoğan late Sunday as the preliminary results suggested a victory for the incumbent president. Aliyev was the first head of state to call his Turkish counterpart after the results. With almost 80 percent of votes counted in Turkey's presidential elections, incumbent President Recep Tayyip Erdoğan is predicted to emerge winner with a 54.4 percent lead. Main opposition Republican People's Party's (CHP) presidential candidate Muharrem Ince received 29.8 percent of the votes. Meanwhile, the newly formed Good Party's (İP) presidential candidate Meral Akşener gets 7.5 percent of the votes and the pro-PKK Peoples' Democratic Party's (HDP) candidate Selahattin Demirtaş has won 7.2 percent. President Recep Tayyip Erdoğan received congratulations from Qatari Emir. Greek Foreign Minister Nikolaos Kotzias and Guinea's Mamadi Toure also called Turkish Foreign Minister Mevlüt Çavuşoğlu to congratulate him on AK Party's success in the elections. With almost 90 percent of votes counted in Turkey's presidential elections, incumbent President Recep Tayyip Erdoğan is set to emerge as the winner with a 52.9 percent lead. 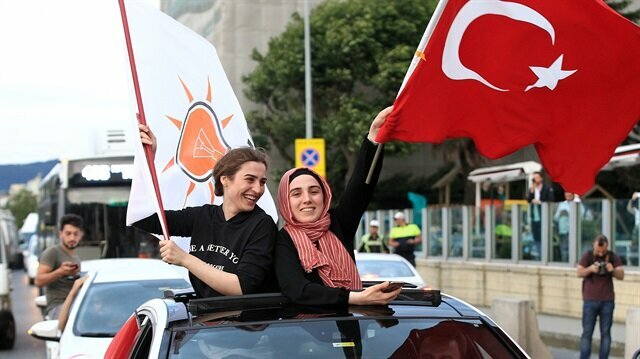 Supporters of Turkish President Recep Tayyip Erdoğan and his Justice and Development (AK) Party have started to celebrate election victory across the nation. It would be more accurate to state the majority results put Erdogan above 50 percent. 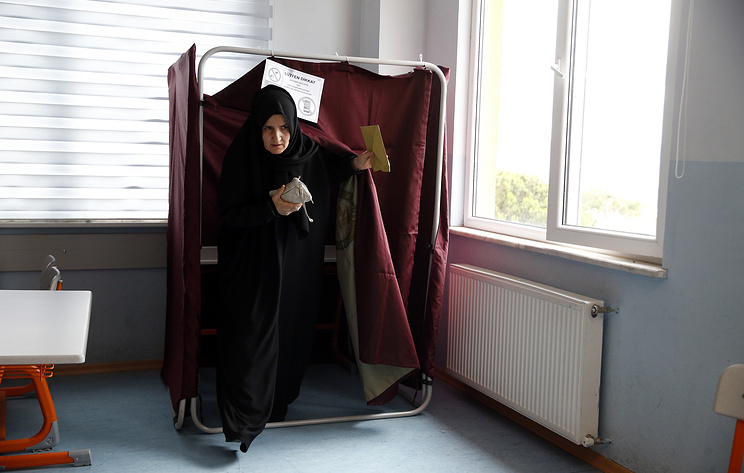 Turkey's Election: Voting Closes, No Serious Incidents Reported. Not including countless 'social media' reports. Unsubstantiated, of course. Turkey's election has various monitors from different organizations. As you will read below. ANKARA, June 24. /TASS/. Early presidential and parliamentary elections that were held on the same day for the first time in Turkey’s history finished without any serious incidents as polling stations closed at 17:00 local time (same as Moscow Time) on Sunday, Anadolu Agency reported. According to Turkish Minister of Justice Abdulhamit Gul, no serious incidents were reported across the country on the voting day. Incumbent President Recep Tayyip Erdogan said no serious violations of the law had been reported. The European security watchdog OSCE (Organization for Security and Cooperation in Europe) reported no restrictions concerning election monitoring procedures either. Security has been tightened in Turkey’s major cities. At least 16,000 police officers will be on duty in Ankara, and more than 38,000 law enforcement personnel will ensure security in Istanbul. Hundreds of journalists, local observers and 415 representatives from eight international organizations, including the Shanghai Cooperation Organization and the Organization for Security and Cooperation in Europe, will monitor the vote. Six candidates, including Incumbent President Recep Tayyip Erdogan, are taking part in the presidential race. Erdogan’s main challenger is Muharrem Ince of the opposition Republican People's Party (CHP). Turkey uses paper ballots with an official seal on it. Turkish authorities have opened legal proceedings against three people who attempted to cast fraudulent votes for the pro-PKK Peoples' Democratic Party (HDP) in eastern Turkey's Agri province. Legal proceedings have also be opened against an HDP observer who allegedly abetted the fraud attempt. The accused attempted to cast votes using forged ballot papers, which they presumably copied from the internet, according to a statement. Officials identified the fake papers as they were not carrying a seal by the election council. "Legal proceedings have been initiated against the people who attempted to cast the fake ballot papers and an HDP observer who stealthily placed the fake ballot papers into their pockets," said the governor's office. It's being reported police had to resort to firing guns in the air after they'd been tipped off to an attempt at ballot box stuffing. Turkish police had to fire into the air to stop a vehicle they had been tipped off was being used to rig the election in Suruç, Urfa province, left-wing newspaper Evrensel said . Four sacks filled with pre-stamped voting papers were found in the car plate number 27 BSU 52, and its three passengers were arrested. Police had been tipped off that the votes were to be switched in for the real votes in order to help fix the election. In my opinion the AKP party will win this election. The HDP party was in danger of losing it's official status- and would have an incentive to rig votes in order to maintain their place. I've never known of such security measures here in Canada during elections. Never see law enforcement around- Ever. I suspect the police being out in full force- along with the presence of so many observers suggests of an expectation of outside interference. And after the coup attempt, it's understandable. "Simon Tisdall was once my boss at the Guardian. Either I've changed a lot since I left the paper more than a decade ago (undoubtedly true! ), or he's subsequently become nothing more than a mouthpiece for the US-Israeli security establishments (and there's plenty of evidence for that!)" Lots of rubbish about human rights abuses- as if that really matters. Tears for the PKK terrorists.
" His growing military collaboration with Vladimir Putin, symbolised by the purchase of advanced Russian S400 missiles, seem certain to get worse if he wins a new five-year term. Turkey’s voters have a duty to the world, not just to themselves. Kick him out"
-Collaboration with Russia. Worse for who? - Turkey's voters have zero duty to the world. S. #Syria: massive #RuAF airstrikes on E. #Daraa countryside. .......comes from the possibility of Israel intervening, That said, IF Russia is indeed striking the area Israel will NOT intervene. Will the US? If any other party would it will be the US. Looking for further verification, since, it’s SOHR reporting. The Syrian Observatory for Human Rights said around 25 strikes slammed into rebel-held towns in Daraa, a province in Syria's south that has faced escalating regime shelling in recent days ahead of an apparent ground assault. "Intense Russian air strikes are hitting towns in Daraa's eastern countryside for the first time since the ceasefire was agreed in southern Syria last year," said Observatory head Rami Abdel Rahman. Russian jets struck an opposition held town in southwest Syria on Sunday, opposition sources said, in the first air cover provided by Moscow to an expanding Syrian army offensive to recapture the strategic area bordering Jordan and the Israeli occupied Golan Heights. Two tracking centres that monitor military aircraft movements recorded at least twenty strikes on Busra al Harir, northeast of Deraa city, two sources told Reuters. Syrian regime forces on Saturday made their first gains on the ground against rebel fighters in the southern province of Daraa after several days of intensified bombardment, a monitor said. "Militarily speaking, the rebel-held southwest seems unlikely to be a difficult target to capture for the Syrian army, particularly if Russia provides air support for an offensive. Rebel territory can be cut at a few key junctures and then defeated in pieces. The government has also been engaging in talks with rebel-held towns across the southwest to make sure they don’t act when the Syrian military marches south. "Syrian state news agency SANA also reported the advance, saying army units edged forwards against rebels in Daraa's east. Southern Syria is a particularly strategic zone: it borders both Jordan and the Israeli-occupied Golan Heights, and also lies close to Damascus"
"In an effort to avoid a deadly offensive, international powers are holding talks aimed at reaching a negotiated settlement for Syria's south. "All sides should seize the opportunity to negotiate a deal for the conditional return of the Syrian state to the south west and avert a military conclusion that, for all sides and the local population, would be a worse outcome," wrote the International Crisis Group think tank last week"
Syria Must Retake Daraa- It's not an option if Syria is to survive and thrive. The Observatory said the warplanes used Saturday — based on type, location, munitions and flight patterns — had come from the Russian-operated Hmeimim base in coastal Syria. The Golan is also home to thousands of Druze whose relatives live in Sweida, which has remained loyal to Assad. “The Russian strikes started around 10:30pm local time (1930 GMT) and stopped after midnight,” said Ibrahim Mohammad, a media activist in the battered rebel town of Busr al-Harir in Daraa. He said he and other residents had taken to their basements and bomb shelters as soon as they heard the planes, describing a steady thud of bombardment for nearly two hours. As a person who sifts through the news tirelessly trying, year after year, to draw some facts out of all the fiction that passes as "news reporting". When no one will notice. I don't like Trump. So this isn't about Trump. What I despise is the manipulation of the masses by the media- It's is the reason I started this blog and the reason I'm still here more then 10 years later. Below is a perfect example of how reality is secondary, while managing your perception is the real priority. "U.S. Border Patrol officials said Friday that a girl who is pictured on the cover of this week’s Time magazine was not separated from her mother, despite the poignant image of the child standing alone, weeping. 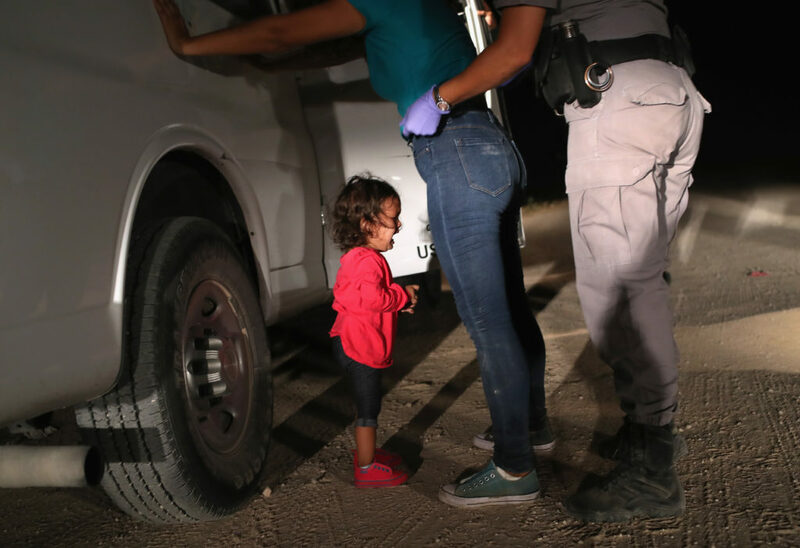 "The two-year-old Honduran asylum seeker seen here crying as her mother is searched and detained near the U.S.-Mexico border was not actually separated from her mother, U.S. government officials said. Time magazine used an image of the girl, by Getty Images photographer John Moore, on its cover this week, next to a picture of a towering Trump. While Time corrected a story it had written about the photo, its top editor defended the cover." "The Honduran girl whose photo has come to symbolize Trump's family separation policy was not separated from her mother, it turns out. A photo of a crying Honduran girl used as a symbol of the Trump administration's policy of separating undocumented migrant children from their parents turns out to not be as representative as originally believed." Yanela's father, Denis Varela Hernandez, came forward late Thursday to tell The Daily Mail that a Honduran official in the U.S. had informed him that the toddler was never separated from her mother except for a brief pat-down and that the two were being held together in a family detention center. necessary before publishing this latest report. Or they intentionally mislead their audience! TIME has resources I can’t even imagine at their ready!! In my opinion, this image was published, with the caption chosen specifically for the sole purpose of spreading perception managing disinformation. Excerpts with commentary and additional information. DS: "In a very lackluster manner, the results of the much-anticipated Turkey-U.S. working group meetings, that culminated in talks focused on the issue of Manbij, have begun to tear at the seams. To some this may come as a surprise; while an avid observer of the Syrian file knows this is not at all a surprise"
You can put me in the avid observer category- coming apart at the seams is not at all a surprise! DS: "Fast forward to November 2016 and Brett McGurk, the U.S. envoy for the Global Coalition to Defeat Daesh, was announcing another YPG retreat from Manbij. The conflicting reports are obvious even to a novice observer. Just two months previous to McGurk's statement another international anti-Daesh coalition spokesman was also claiming that the YPG was leaving Manbij. An astute observer would question why the YPG withdrawal from Manbij was being announced more than once?" DS: “Throughout 2017 the Turkish government was hopeful that the incoming Trump administration would follow through with its campaign promises and reconsider its faulty strategy in Syria – supporting one terror outfit to defeat another. A matter Turkish officials have repeatedly addressed with both the Obama and Trump administrations. The one difference on the ground in Syria’s northwest vs the northeast was the proximity of Russian forces to the territory. Turkey got Russian and undoubtedly Syrian permission to fly over the area. Americans weren't even going to ask. Americans were undoubtedly embedded with PKK/YPG in Afrin- but with no ability to fly over the area and bomb everyone, the Americans, Brits, and French forces embedded with the PKK thugs in Afrin... FLED! That's right. They left. Rather then have a PR disaster on their hands they ran! DS: Interestingly, on June 6, a pro-Saudi publication Okaz, published an interview with Syrian PKK leader Fehman Hussein, known by his nom de guerre Bahoz Erdal, from the Qandil mountains. The Turkish military is currently engaged in an offensive in northern Iraq moving steadily toward the PKK's mountainous enclave. It was thought that Hussein, born 1969 in northeastern Syria, was killed near Qamishli in the summer of 2016. (Yet, he was alive and in Qandil!) His interview, conveniently timed with the announcement of a YPG withdrawal from Manbij, clarifies a number of issues. Hussein claims he was in Syria in 2014 for three months on a social visit; offered advice and ammunition to the YPG in fight against Daesh; and warned Turkey of an increasingly violent fighting season this summer. Some of these facts are confirmed and clarified by Talal Sillo, the defected SDF Spokesman, who explained the intricate relationship between the PKK, YPG, and SDF; as well as Hussein's role in relaying orders from the PKK command to the SDF. Hussein's positions as a military commander for the PKK in Syria and his heading of a group known as the Kurdistan Freedom Hawks (TAK) as cover for the PKK presence in Syria is well known to security officials since 2012. Readers here should recall Talal Sillo- The whistleblower that nearly no one paid any mind to what he was reporting. Even though, he was connecting the US directly to well known terrorists- Not that his testimony was needed. Least not in my opinion. The connections were obvious. One would have thought that would have been BIG news in the alternative/empire challenging media- But it wasn’t. Since there really isn’t much alternative empire challenging alternative media save for a few very small bloggers. Flashback: A Whistle Blows & No One Hears: Where Is The Alternative Media? Flashback:Talal Silo Spills the Beans "SDF created as cover to arm PKK"
DS: "Despite reaching an agreement on a road map for withdrawal and future operations, the fate of Manbij and eastern Syria remains unclear. American forces have numerous bases in northeastern Syria and are the main force protecting the YPG from a Turkish operation similar to that of Operation Olive Branch and Operation Euphrates Shield. Iraqi airstrikes in Syrian territory; Turkish concerns about the YPG taking more territory from Daesh with the U.S. help; ongoing Turkish operations in northern Iraq towards the PKK's historic mountain base, and a shifting geopolitical playing field all complicate the possible scenarios following the Manbij road map meetings. What is clear, however, is that the United States is unwilling to fulfill its promises of pulling out of Syria, supporting a terror group that threatens a major ally – the second largest military in NATO – and taking much needed steps towards normalizing relations with Turkey.Mattis recently announced that talks would take place in Germany to discuss the implementation of the Manbij withdrawal road map. He described the first phase of the plan as efforts to identify where the Turkish and American military forces are positioned and then possibly conducting joint patrols in the area. Is it possible that they will use these new armored vehicles to transport the YPG fighters out of Manbij? If so, where will they take them? Qandil? 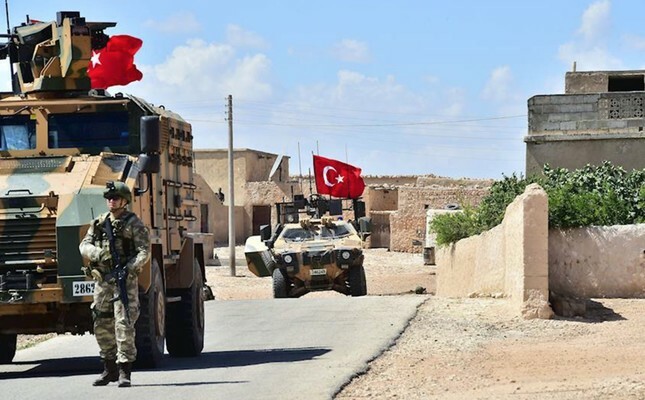 One thing is for sure, the road to clearing the Manbij pocket from terror elements is getting windier day by day"
The author of the oped is entertaining the idea that even if the PKK exits Manbij, US forces will stay in place and continue on as guarantors of the Kurdish annexation project. The US will move the fighters to Qandil as reinforcements to terrorize Turks/ destabilize Turkey from yet another position. Entirely possible. The Americans are that duplicitous and allies do come and go. Except for Israel and the UK.